Safety is an important part of any work environment. Regulations and preventive equipment are adopted by any professional company that is serious about providing a safe environment for team growth. When it comes to being prepared for safety concerns, one should understand that 100% of accidents can’t be prevented. Minor injuries are unavoidable, so having a way to address these correctly is very important. Versatility is a great trait for any safety device to have, which is why The Workplace Depot is excited to offer the Wall Mounted Eye and Face Wash. 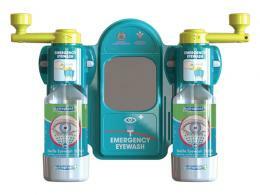 This product functions as both an eye wash and face wash unit that can be easily mounted on the wall of any worksite. What is The Purpose of the Wall Mounted Eye and Face Wash? 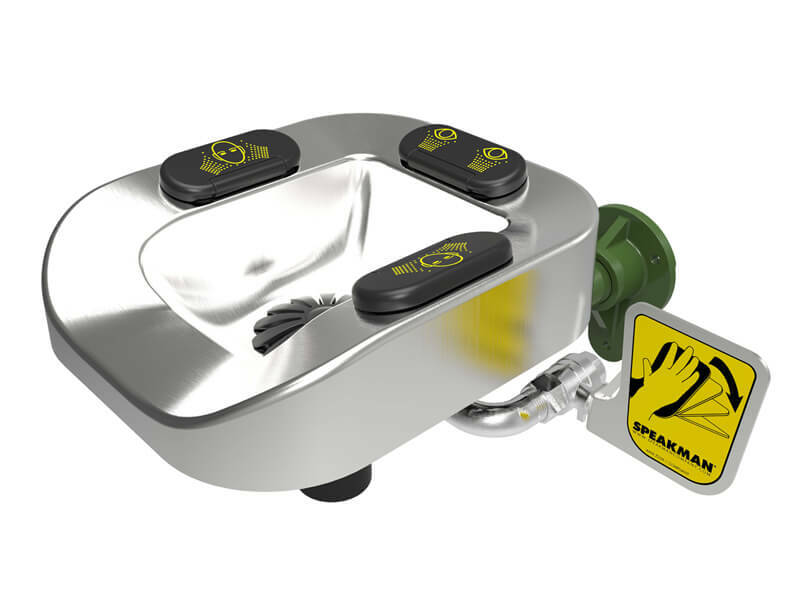 The Wall Mounted Eye and Face Wash is designed to provide readily available treatment in the event that a worker suffers an injury on the job. Sometimes minor eye or face irritation can occur after an individual comes in contact with intense heat, debris, or chemicals. In order to make sure that the injury will be less severe in the long-term, it is vital to treat it promptly. This unit allows anyone to wash their eyes and face in a quick and comfortable manner. 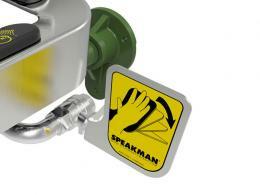 This product can be used at any worksite where eye and face injuries are possible. Every company is always look for a way to save on space and costs. This unit makes sure that even the smallest company with the most modest budget can get high-quality, all-encompassing protection for eye and face injuries. This product can prove useful for anyone who has sustained an eye or face injury on the job. From minor abrasions to light burn, this station can provide quick relief. This unit utilizes stainless steel construction and push handle activation. 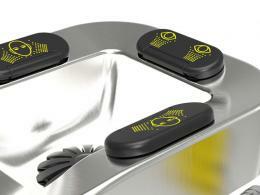 Flip top dust caps keep the unit clean and pads make using it a comfortable experience. Invest in a Wall Mounted Eye and Face Wash for your company today!